Mining is a fascinating process. Actual money is created out of thin air by running a computer program that solves mathematical puzzles, with the only goal of making it impossible to reverse the history on the blockchain and thus securing it. What is even more fascinating is that with Beam and other GPU-mined coins, the process is really democratized. Ordinary users who have a GPU can literally print money right from the convenience of their homes — the only thing that is needed is a connection to a mining pool. GPU is a multiple-purpose device — you can use it to play video games and also to mine multiple cryptocurrencies. Which one to mine though? While everyone has their own preferences and beliefs in what will happen to this or that currency, it is possible to put together a bunch of data points and calculate what coin is the most profitable to mine at any given moment. Our friends from Megapool shared some statistics with us, and we think they are interesting enough to share with our community. The electricity price was assumed at 0.4 Chinese Yuan per KWT (equivalent to 6 US cents). After factoring in the global hashrate and electricity cost, we could calculate profitability per coin and compare the results. In the last column, we show how much more or less profitable mining Beam is, as compared to ETH and Grin. It can be clearly seen that while Beam is about 5–15% less profitable than Grin on leading Nvidia cards, it is 30–80% more profitable on AMD cards. So, for an AMD card owner, it should be a very easy choice. The same can be said for owners of lower-memory GTX 1060 3G cards. 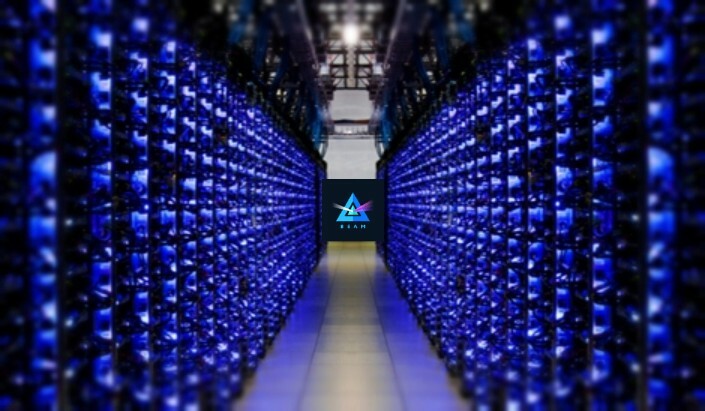 While Beam is currently somewhat less profitable on leading Nvidia cards (and significantly less so on top-of-the-line 2070 and 2080), miners should consider that Beam block reward will be cut in half in about 10 months from now, so 2019 presents an opportunity to earn 80 Beam coins per block — something that will not happen again in the future. The full dataset is available here. We thank David and Jinping from Megapool for putting together the data, and Wilke Trei for valuable comments. We welcome feedback from anyone interested and feel free to drop us a line (mining (a) beam.mw) if you need any kind of help in mining Beam.